In law school, Tom was President of the Student Bar Association and representative to the Law Student Division of the American Bar Association. Elected to speak on behalf of his law school class at graduation, he received the Philadelphia Trial Lawyers Association Trial Advocacy Award and the Captain Robert Miller Knox Award for outstanding contributions to the law school community. Prior to law school, Tom was an international student advisor for ELS Language Centers in Charlotte, NC, and an English teacher in Bogotá, Colombia. 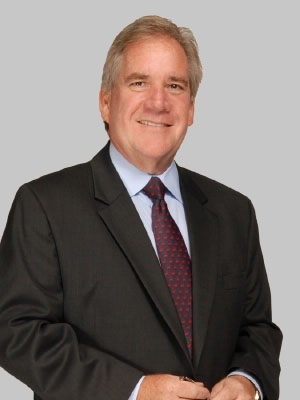 Tom was the Chair of the UNC Charlotte Alumni Association for the Philadelphia area, as well as Board President of the Temple University Law Alumni Association. Tom was also a President of the Medford Lakes Lions Club, and he has served on the Medford Lakes Planning Board and the Medford Lakes Colony Board of Directors. Currently, Tom serves on the Visitation BVM School Board of Limited Jurisdiction.